Any new experience, especially when it comes to your health, can be unnerving. We understand this and we will make every effort to make your first experience very comfortable. Our friendly staff and the doctor will answer any questions and address any concerns you may have. We recommend for your first appointment, you arrive fifteen minutes early to complete the required paperwork. A complete health history is the first step for any new chiropractic patient. We will ask about old injuries, chronic problems, and your current symptoms. After reviewing the health history, the doctor will discuss his findings with you and determine how your condition could best be treated. If the doctor feels chiropractic will help you, then (and only then) will he recommend a treatment plan - or if conditions allow, discuss a choice of treatment options. Treatments will be tailored to your specific needs and addressing your specific health problems and personal concerns. Aside from adjustments, other therapeutic methods, massage techniques, or home care remedies may be recommended. Absolutely. Compared to other medical treatments, which include medication and surgery, chiropractic is by far the safest. It is estimated that 140000 people in the USA die each year from drug-related reactions and nearly 100.000 people die as result of medical errors. Insurance companies who evaluate the risks of all professions, and charge a premium based on the risk the profession poses. 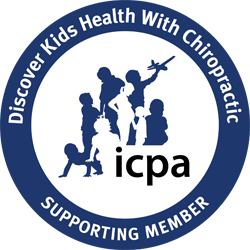 Chiropractors have by far the lowest insurance premium of all medial providers. Even though of chiropractic adjustments are made each year, only a few complaints are registered. The sound is no reason to be concerned. The sound is not coming from the bones themselves. It's coming from a lubricant called synovial fluid that's found in every joint. That fluid contains dissolved gases. During the adjustment the joints are slightly separated to move into proper position. This releases the built-up pressure on the fluid and gasses and creates a “pop” similar to the release of pressure when the cork comes off a bottle of Champagne. Not all patients “pop” and not all adjusting techniques produce the noise, which means an adjustment can be proper and effective, even if you do not hear any noise. Chiropractors believe in the body’s ability to heal itself and for that reason they don't prescribe medication or perform invasive procedures. They focus on providing your body with the right elements for self-restoration by restoring free-flowing communication between all parts of your body. Chiropractors are trained to detect problem areas in your spine before they develop into problem conditions or symptoms. Just because symptoms disappear, does not mean your subluxations are corrected. Regular adjustments help to maintain or support a healthy spine and nervous system. Maintenance or wellness spinal care programs, which may include advice on posture, nutrition and exercise, can effectively prevent pain. However, how you choose to use chiropractic care is ultimately up to you. If your spine wears out, there is no solution. Because your spine directly influences the function of your nervous system, spinal decay permanently damages the nerves and spinal cord. Nearly everyone flosses and brushes their teeth even though their teeth don't hurt. Spinal adjustments are like flossing the spine. Lifetime care of the spine should be a priority!